Ronald L. Schwartz, MD, CPI, is the Director for Hattiesburg Clinic Memory Center, where he has been since 2001. Over the past 10 years, Dr. Schwartz has served as principal investigator for over 30 clinical trials in Alzheimer’s disease and Mild Cognitive Impairment. In addition, he has worked to advance nuclear neurology within the confines of clinical evaluations, research studies, and longitudinal registries associated with amyloid imaging technologies. Dr. Schwartz completed undergraduate education at Columbia University, in New York City, and medical school at Albany Medical College, in Albany, N.Y. He completed his neurology residency at Albert Einstein College of Medicine in Bronx, N.Y., where he also served as chief resident in Neurology. Dr. Schwartz is fellowship trained in behavioral neurology (University of Florida). 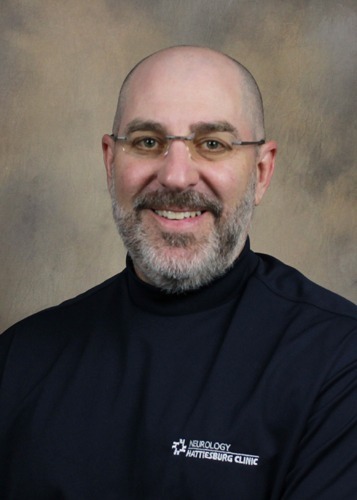 Dr. Schwartz maintains board certification in neurology (American Board of Psychiatry and Neurology) and sub-specialty certification in behavioral neurology/neuropsychiatry (United Council for Neurological Subspecialties). In addition, Dr. Schwartz is a certified principal investigator (Academy of Clinical Research Professionals). Memory Center operates with the multifaceted goals of providing clinical evaluations for patients, while also establishing a gateway for access to leading-edge clinical trials. Albany Medical College - Albany, N.Y.
Albert Einstein College of Medicine - Bronx, N.Y.